A most unusual Tiffany pitcher came into our possession in the most wonderful condition. 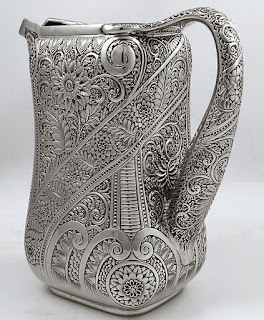 The most interesting thing about the engraving was that the fully engraved handle matched the body. 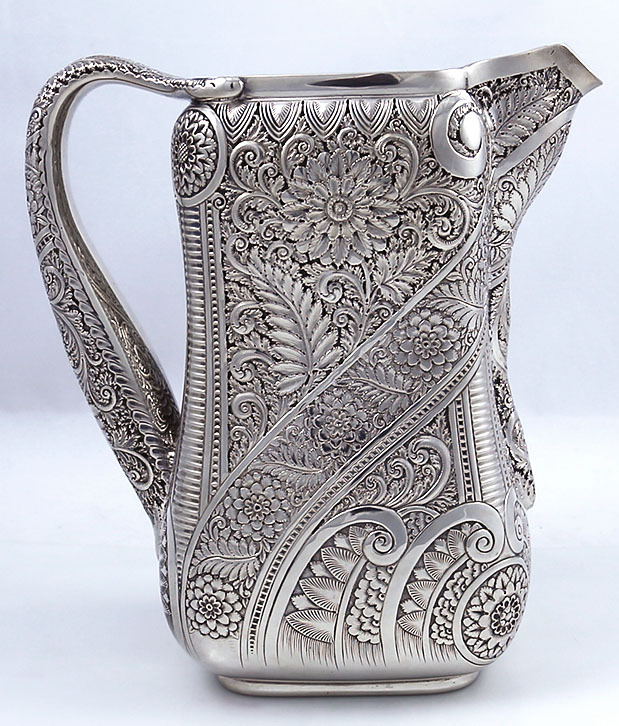 The angular band of engraving is repeated on the handle which looked a bit like an elephant's trunk. 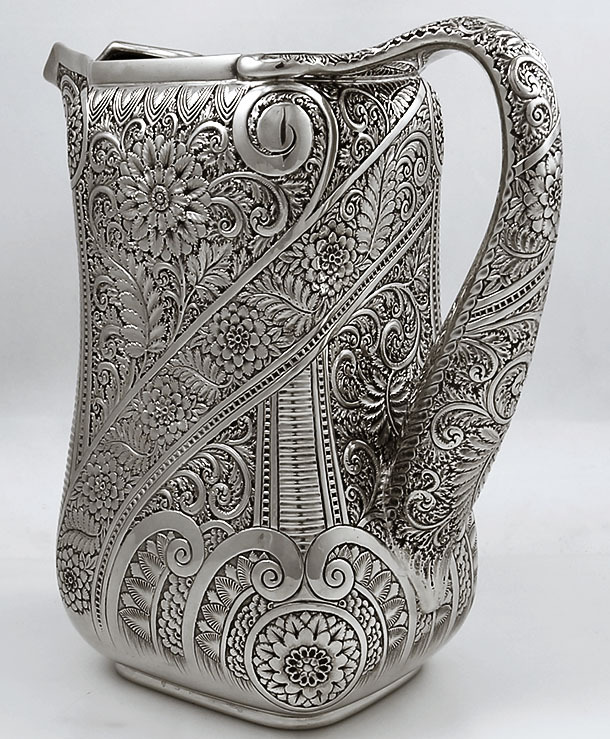 The pattern looks a lot like paisley and the engraving is so deep that my first reaction upon seeing it for the first time was that I would give anything to meet the engraver and to watch the engraving process. 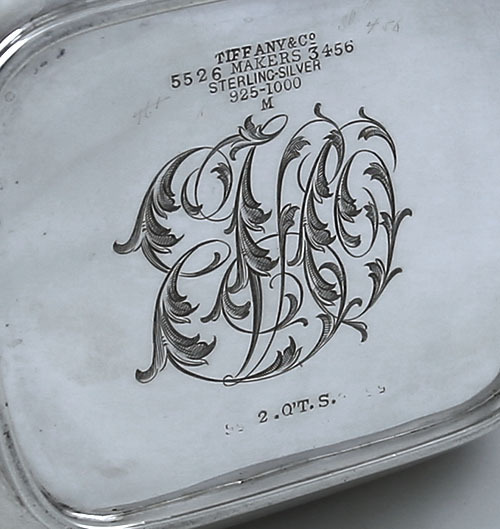 The sad thing is that it would not be possible to pay someone to do this engraving today. 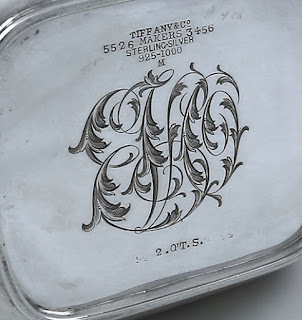 Looking at the base one can see the superb monogram embellished with leaves engraved to last 150 years. I have to say that to is a great pleasure to be a custodian for such a masterpiece and to think it was probably used on some posh table by some important family in the gilded age.